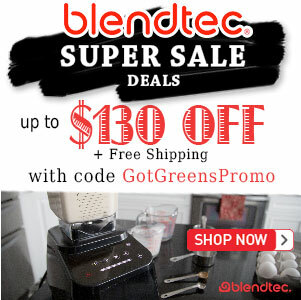 Blendtec Twister Jar - Got Greens? 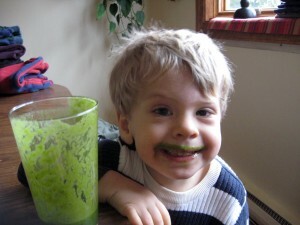 Could this be Blendtec’s answer to the Vitamix tamper? When it comes to innovation, Blendtec is full of it. The release of their new Blendtec Twister Jar successfully fills a gap in their offerings. The new blending container is specifically designed for think blends – nut butters, baby food, shakes, spreads and the like, and is suppose to complete the task in record time. An example given from Blendtec laboratories is peanut butter creation: 4-5 minutes in the FourSide Jar vs Blendtec Twister Jar in 35-45 seconds. This is a significant amount of time savings – but it also requires a $119 investment. The Blendtec Twister Jar is truly is the best addition to the blending family. 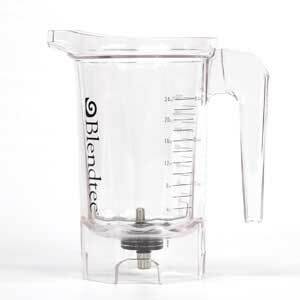 Most Blendtec reviewers and owners will agree, the biggest limitation of Blendtec Blenders is the inability to blend up think creations and small quantities. Using the Twister Jar is simple, just turn the lid allowing the tines to scrape the sides while blending. When using the FourSide or Wildside jar, blending a small amount can be difficult. Even more challenging is the ability to make thick blends. Since there is no tamper option with Blendtec there is often the need to stop the machine and push the ingredient into the blade to continue blending. With the release of the Blendtec Twister Jar, users can easily and quickly make thick, dense blends. 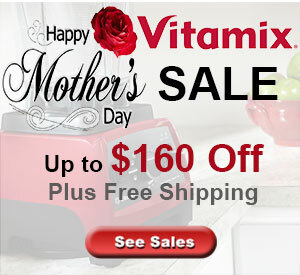 The only limitation is that you can only blend 16 ounces at a time efficiently. It’s a Blendtec of course it’s noisy. Like an 11. How is the sound is it noisy where do you place it from 1 to 10.